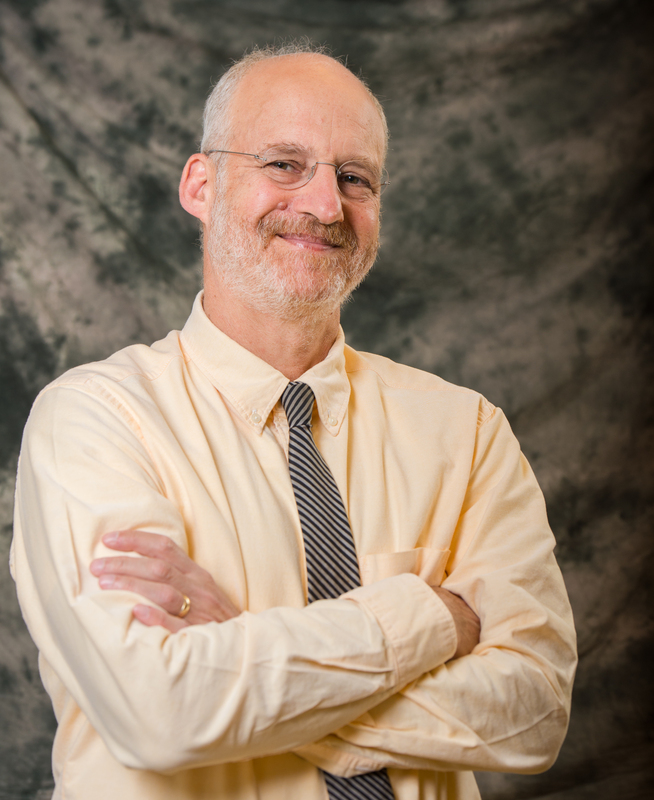 Before becoming the first trained anthropologist to helm the American Anthropological Association, Ed Liebow got his start at Arizona State University’s School of Human Evolution and Social Change (then called the Department of Anthropology). As executive director, Liebow oversees all operational aspects of the AAA, which has 10,000 members, publishes more than 20 journals and organizes a host of annual meetings, fellowship opportunities and mentorship programs. “We call public attention to the effort to understand the human condition and its applications for some of the world’s most pressing problems,” he said. Liebow can trace his own passion for anthropology back to his childhood upbringing. After a few more classes, Liebow was hooked. Later, as he began his PhD at ASU, he grew to love the school’s diverse training across anthropology’s many subdisciplines. But his time at the university proved life-changing in more ways than one. Liebow’s path to a PhD was a meandering one. He took a four-year break to work for an urban planning firm that was helping to manage surging demand for public facilities — such as water, schools and transportation — in the Phoenix metropolitan area. When he returned to his studies, he worked at the Phoenix Indian Center’s Urban Indian Law Project, a community legal services agency, and after graduation spent nearly three decades at the Battelle Memorial Institute’s Human Affairs Research Center, where he conducted research on the environment, public health and social policy. In 2012, this broad range of experiences opened the door to the opportunity of a lifetime — becoming the first trained anthropologist to serve as executive director of AAA. Liebow credits his time at ASU, where he had the chance to explore the many subfields of anthropology, teach classes and participate in research, with preparing him for the position. One of the greatest advantages anthropologists have, argues Liebow, is their ability to see how culture, society, economy, environment and a host of other factors are all interconnected. That type of big-picture thinking is important in successful business leadership and is in high demand from employers of all kinds. Expanding the field’s influence in new and leading industries could actually help yield unexpected solutions to today’s most pressing issues, he says. That’s why he’s encouraging the next generation of anthropologists to continue pushing the boundaries of their field. “AAA is committed to ensuring the enduring legacy and impact of critical anthropological work — today and tomorrow,” Liebow said. Under his leadership, this means expanding outreach to K-12 students and teachers; promoting innovative undergraduate teaching and learning; and supporting professional development for the growing number of anthropologists who work outside academia in businesses, government and nonprofits. Mindfulness practices can help manage blood pressure and heart disease risk. Heart disease is the leading cause of death for Americans, taking more lives each year than all cancers combined. According to a new report from the American Heart Association, an estimated 103 million Americans have high blood pressure — that’s nearly half the adult population. High blood pressure can lead to heart attack, heart failure or stroke. Fortunately, many heart-related diseases are preventable with lifestyle changes. In addition to proper diet and exercise, engaging in mindfulness activities like meditation and yoga can help to reduce stress, manage emotions and lower blood pressure. In recognition of February being American Heart Month, ASU Now spoke with Teri Pipe, chief well-being officer and founding director of the Center for Mindfulness, Compassion and Resilience at Arizona State University, to learn how practicing mindfulness can be part of a heart-healthy lifestyle. Question: What is mindfulness and how is it practiced? Answer: Mindfulness is a focused, intentional presence. It is a very natural state of being present, though in today's world of constant interruption, mindfulness may feel somewhat unfamiliar at first. There are many ways to practice mindfulness. Practices include such things as breath meditation — often done with the eyes closed in a still, relaxed-but-dignified posture focusing on the breath — body scan, mindful walking, yoga, mindful eating and mindful communication. When the attention wanders, the practice is to bring the focus back to the object of attention. Done repeatedly, because the mind naturally wanders repeatedly, the act of refocusing can become quite calming and centering. Q: How can practicing mindfulness support overall heart health? A: Practicing mindfulness often has the physiological effects of lowering blood pressure and pulse, decreasing emotional over-reactivity, and creating an overall relaxed, calm-yet-awake way of interacting with life experiences. The act of deepening and slowing the breath stimulates the vagus nerve, which winds throughout many areas of the body. The vagus nerve interfaces with the parasympathetic nervous system and helps control the heart, lungs and digestive tract. In this way, mindfulness can lower blood pressure and slow the heart rate. There is some preliminary research that indicates mindfulness practices may also help regulate the insulin response, which is important in diabetes prevention: Diabetes and cardiovascular disease are often linked. These cardiovascular effects can be helpful in preventing heart disease, especially when practiced regularly. Mindfulness may also help with healthy sleep/rest patterns and help promote healing. An important added benefit of regular mindfulness practice is that it often helps with emotional regulation. Individuals learn to respond to their environments (including pressures from school, work, relationships, traffic, deadlines, etc.) with a sense of focused attention and productive decision-making rather that becoming overly reactive. This cycle tends to support a healthier response to stress, actually promoting resilience in the face of adversity. The opposite — becoming overly emotional, reactive and frenetic — is counterproductive and often contributes to anxiety, high blood pressure, sleep problems, pounding pulse and an overall sense of unease. Q: What specific mindfulness practices are most effective for reducing stress, lowering blood pressure and reducing the risk for heart disease? A: In short, the best mindfulness practice is the one that appeals to the individual and that can be integrated most easily into his or her current lifestyle. For some people, this can be a quiet 10- to 30-minute silent or guided meditation. For others, mindful movement such as mindful walking, yoga, qigong or tai chi may be appealing. The main thing is to train the mind to be in the moment. With training, this calmer, more centered focus is brought to more and more of the person's life, resulting in a more responsive, rather than reactive, way of interacting with life. Cardiovascular benefits can be experienced during the formal practice of mindfulness, but over time those benefits will extend to other parts of the day as the individual experiences the emotional regulation that comes with regular mindfulness practice. Again, the main idea is to choose mindfulness practices that appeal enough to become part of the individual's daily routine, just like healthy eating and physical activity. Q: How does mindfulness work in conjunction with other strategies people may be using to improve their heart health, such as diet, exercise and medication? Can mindfulness be as effective as these more traditional strategies? A: Mindfulness is a very effective practice, especially when used in conjunction with healthy eating, physical activity and medication, if needed. There is an additive effect when these lifestyle behaviors are used together, not only for health promotion and disease prevention, but actually for the reversal of cardiac risk factors such as high blood pressure, high cholesterol and triglycerides and high blood sugar. Mindfulness does not have any harmful “interactions” with medication or food so it can be used by most people if they show an interest and willingness to practice. Individuals should work with their health care team to make sure they are creating a lifestyle that supports cardiac health. This is especially true if they have cardiovascular risk factors or a personal history of cardiovascular disease.